There’s no doubt that we’ve taken a shine to the metallic finishes that have been heating up the interior design landscape for the last few years. The glimmer of silver, glamorous gold and warming copper reflect light and create a touch of glamour wherever they’re used - so it’s little wonder why incorporating these metals into the home has become such a popular choice. 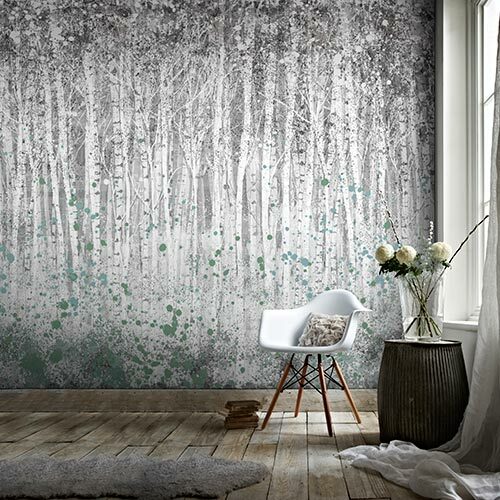 There are lots of ways to get the Midas touch by incorporating metallic details and bringing that sparkle to your walls couldn’t be easier. Our Marbled Charcoal Rose Gold wallpaper would bring drama to any space. With its fluid lines and reflective properties, this statement paper really comes into its own in the evenings. Consider using it in a dining room along with the deep rich grey of Woodstock paint where candles will create little pockets of glowing light to make the most of this stunning paper. 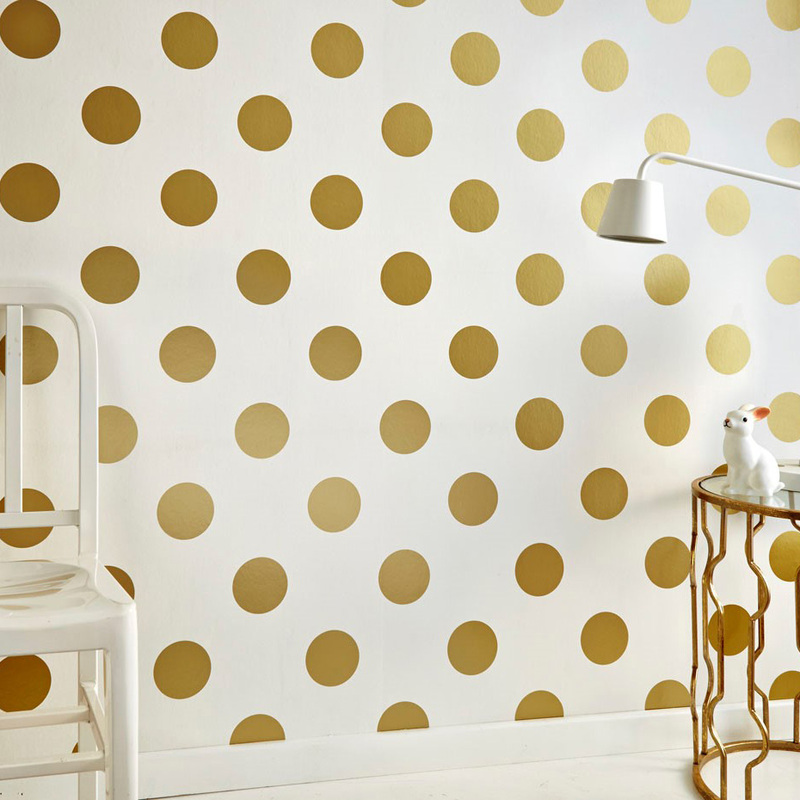 Consider bringing a touch of whimsy with our Dotty Gold wallpaper. While this is an incredibly fun look for a child’s room, consider creative areas as well, such as the home office or the kitchen. For an updated twist on a more traditional look, consider the metallic and cream stripes of our Glitterati Cream and Gold by Julien MacDonald for the living room. 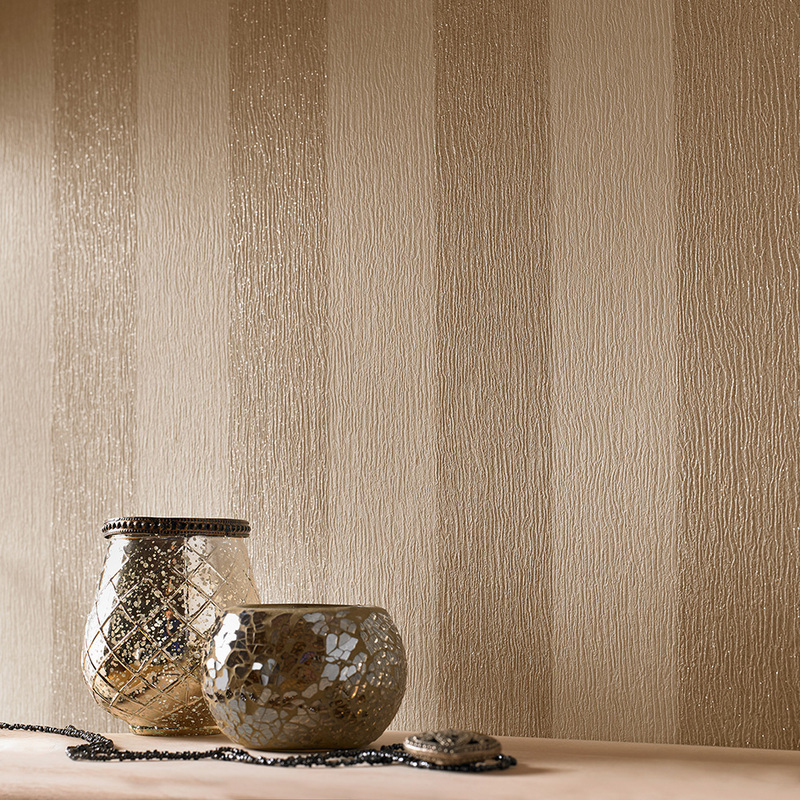 Stripes never go out of style and incorporating a bit of glamour will provide the perfect aspirational touch to your interiors. 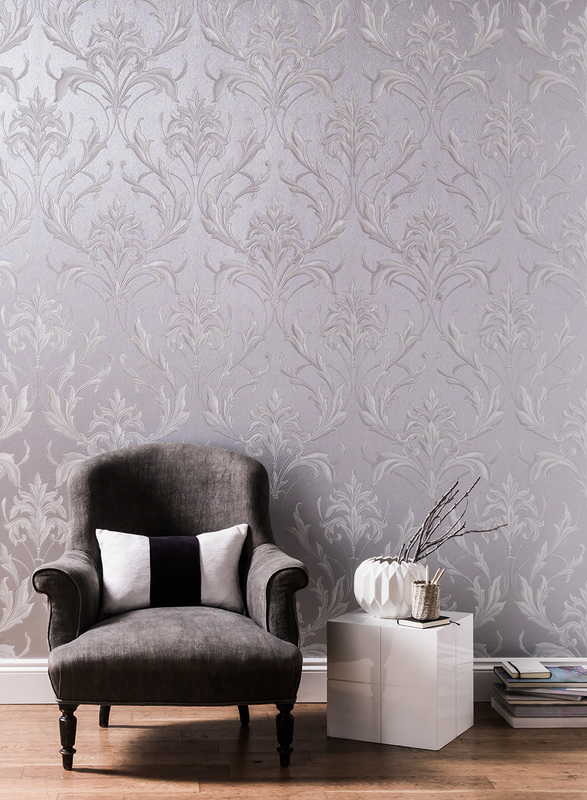 If you love sophisticated and elegant styles, our Oxford Silver Grey would be your perfect timeless damask. The soft grey is the new neutral but the inclusion of subtle silver highlights will make any room glow. 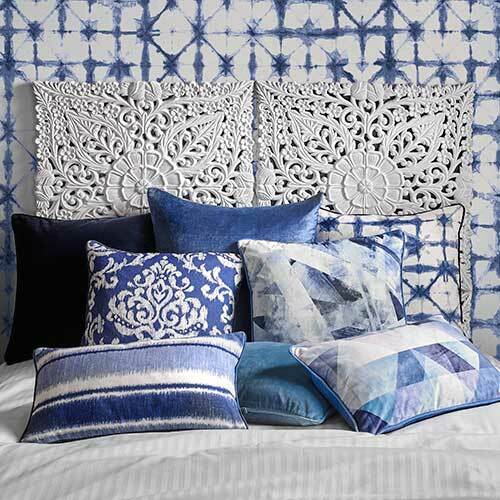 Used as the backdrop for your bed, pair it with Organza Pearl wallpaper in the bedroom for luxurious style. 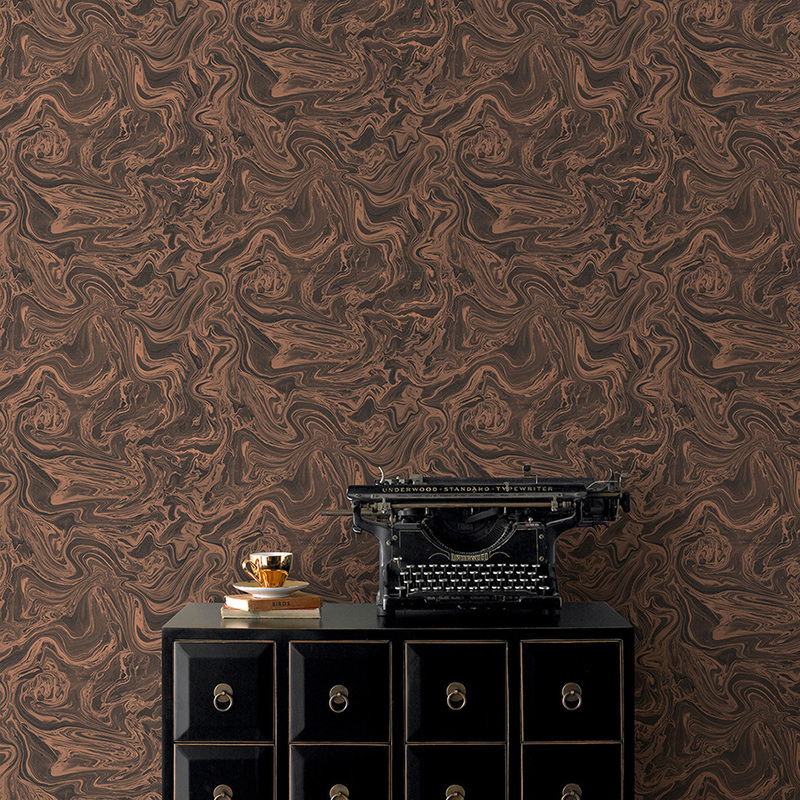 For an organic touch with a nod to classic design, our Linden Black Copper wallpaper is sure to turn heads. Metallic copper trees provide the perfect landscape upon which to flex your design muscles, either as a feature wall combined with our Industrial Noir paint or glistening like an enchanted forest on all the walls of your space. 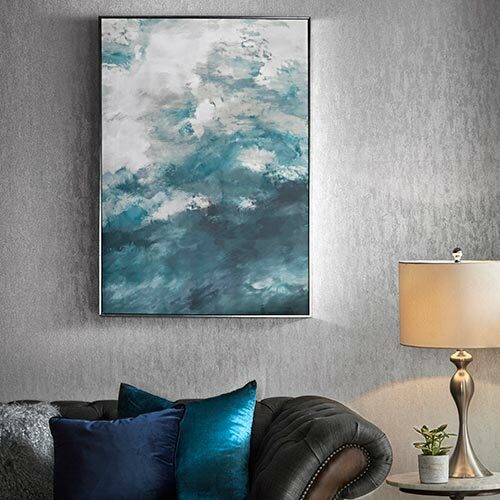 For some easy extra sparkle, consider adding touches of metallic wall art to painted walls. 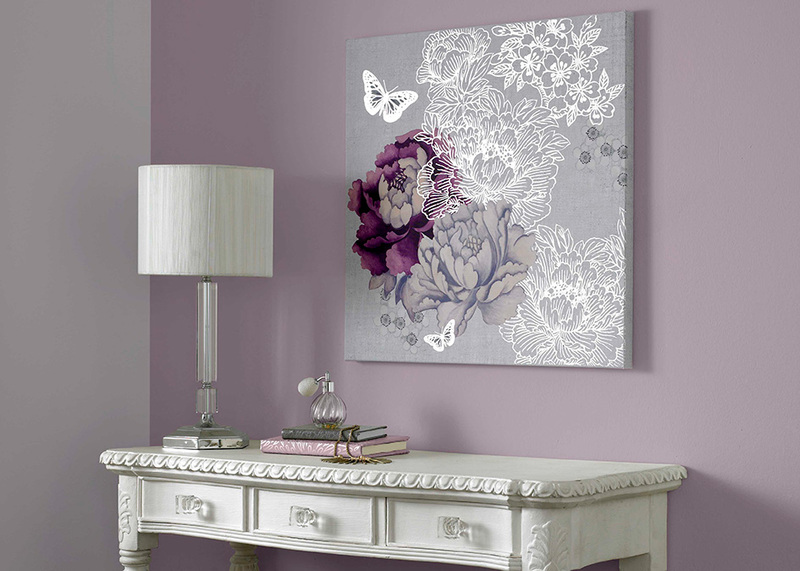 Our Monsoon Floral has a stunning silver shine that would sit beautifully against Clancy painted walls or create some wow factor contrasting this piece with a feature wall in the deep violet of Damson in Distress. 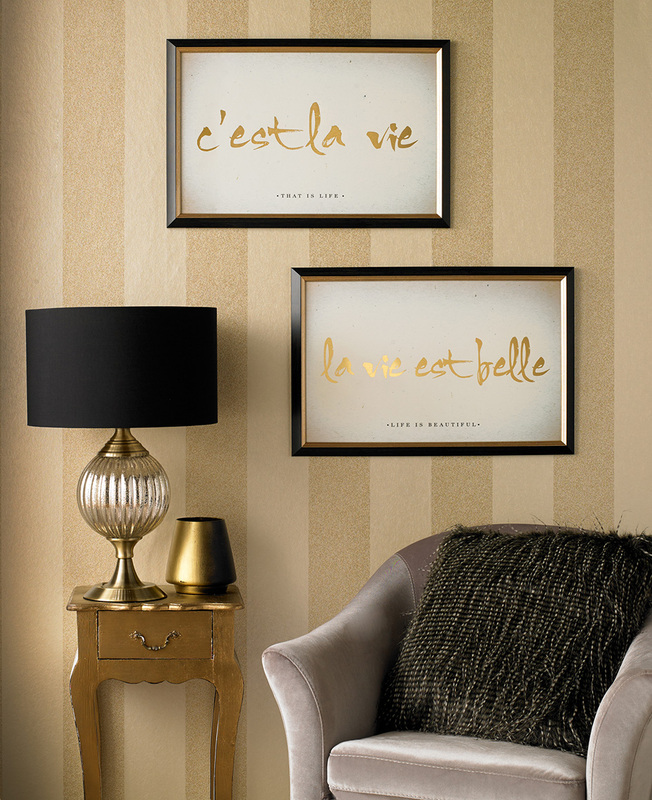 If you like a bit of French glam, add gold foil touches with our C’est La Vie and La Vie Est Belle framed prints. 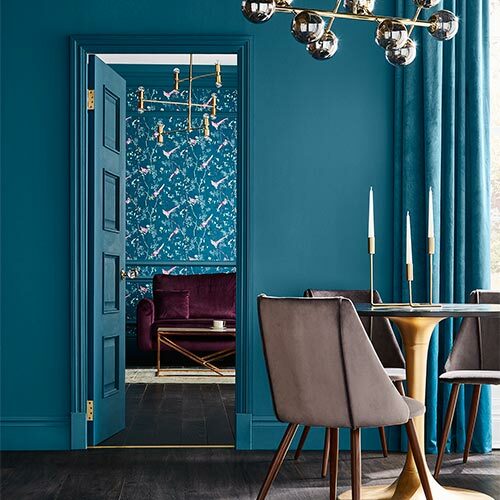 Combined with a darker wall colour like the deep indigo of Sloan Square or the rich deep grey of Black Cab, your abode will be transformed into Parisian Chic in no time. As you can see, there are plenty of gorgeous ways to incorporate some metallic finishes into your home! 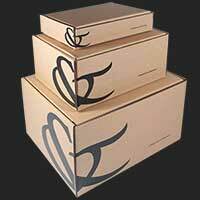 Which ones will you be trying out?